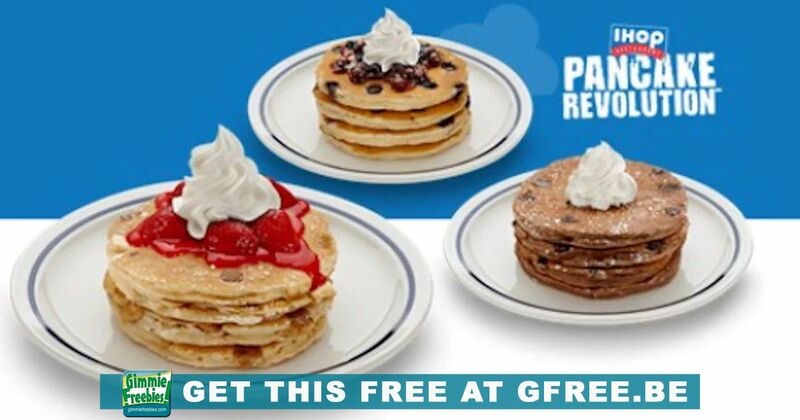 Get 3 Free Meals with IHOP Pancake Revolution! To get your FREE meal, join the IHOP Pancake Revolution! There are so many ways to get free food at IHOP! Every year they offer Free Pancakes for National Pancake Day and of course Free Scary Face Pancakes on Halloween! And that’s not all! Join now and you’ll be entitled to perks! Get a FREE meal on your birthday! Get a FREE meal on your 1-year anniversary of joining! Join the movement and you’ll get FREE birthday meals and more! You’ll flip over the perks of membership — like a FREE full stack of our famous Rooty Tooty Fresh ‘N Fruity® Pancakes!